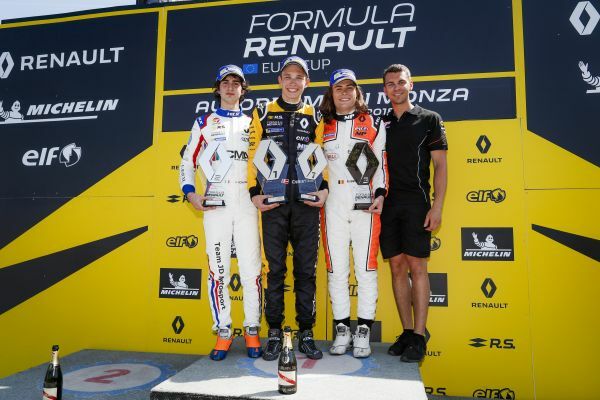 22.04.2018: Christian Lundgaard (MP Motorsport) becomes the fourth different winner in four races in the Formula Renault Eurocup this season. 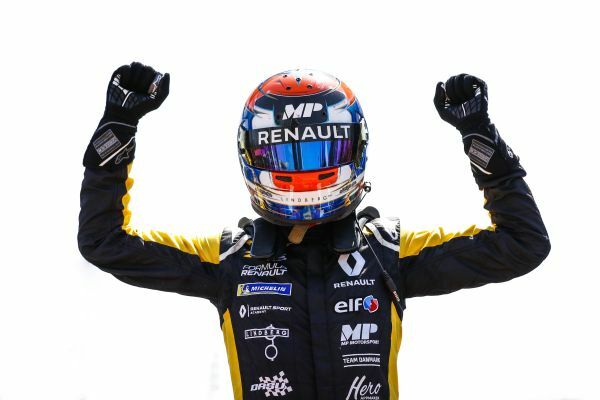 Christian Lundgaard (MP Motorsport) becomes the fourth different winner in four races in the Formula Renault Eurocup this season. 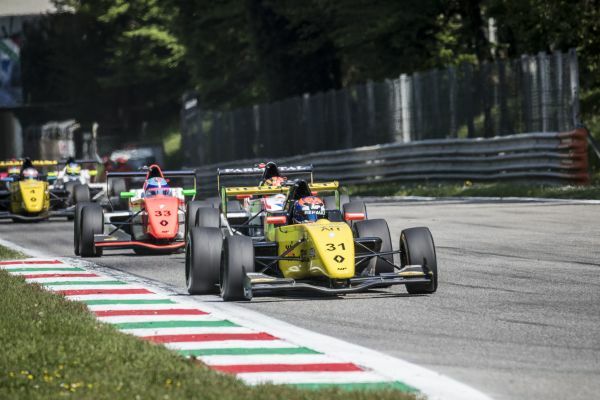 On Sunday, the rookie member of the Renault Sport Academy got the better of pole winner Lorenzo Colombo (JD Motorsport) to give his team their first win since their return last year and moves into the lead of the general classification. Starting eighth on the grid, Max Defourny (MP Motorsport) completes the Monza podium. Sunday morning, Lorenzo Colombo won the first pole position for JD Motorsport since Chris van der Drift started P1 at Donington in September, 2006. With a lap of 1:49.378s, the Italian driver beat the effort of Christian Lundgaard, who set the fastest time of 1:48.988s in the other group. Group B - Group ALorenzo Colombo started ahead of Christian Lundgaard, Max Fewtrell (R-ace GP) and Yifei Ye (Josef Kaufmann Racing), while Logan Sargeant (R-ace GP) and Richard Verschoor (Josef Kaufmann Racing) shared row three on the grid. Lorenzo Colombo got a good start to keep his rivals at arm’s distance. Row five starters, Alexander Smolyar (Tech 1 Racing) and Alex Peroni (MP Motorsport) made contact before turn one. Axel Matus (AVF by Adrián Vallés) and Vladimir Tziortzis (Fortec Motorsports) could not avoid the Australian and also retired. Following the intervention of the safety car, the race resumed on lap four. Lorenzo Colombo still led from Christian Lundgaard, Max Fewtrell and Yifei Ye. The British and Chinese drivers made contact at Ascari and lost a lot of ground in having to drive through the gravel. Yifei Ye was given a ten second penalty after the race for the incident. On lap six, the safety car was back for two laps to allow for the removal of the car of Neil Verhagen (Tech 1 Racing). While Lorenzo Colombo managed to hold onto first place through turn one, Christian Lundgaard took the lead with an outside passing move at the Variante della Roggia. Christian Lundgaard then took control of the race to go on for his first overall win and his third success among the rookies. Lorenzo Colombo and Max Defourny (MP Motorsport) complete the podium ahead of the R-ace GP entries of Logan Sargeant Victor Martins, who started 12th on the grid. Thomas Neubauer (Tech 1 Racing), Thomas Maxwell (JD Motorsport), Frank Bird (Tech 1 Racing), Richard Verschoor and Max Fewtrell complete the list of points scores at the end of what was an action-packed and intense race. Christian Lundgaard (MP Motorsport): “We started the weekend quite well. Yesterday, we were 0.4s adrift of Yifei Ye, but we flipped the script this morning. We had a better race pace, even though there were still areas where we can improve. We managed to put it all together today. I didn’t want to attack too much because of the slipstreaming on this circuit. Lorenzo Colombo (JD Motorsport): “I am pleased with my result, but we still have to work on our race pace. This morning I was really happy to have taken my first pole position. I managed to hold on to the lead with a good start, but there were two safety car periods to deal with. Max Defourny (MP Motorsport) : “The start of the season has been anything but ideal. Yesterday morning, our pace was pretty bad in qualifying, but better in the race. Unfortunately, I was slightly pushed at turn one and had to move up 17 spots to score two points.